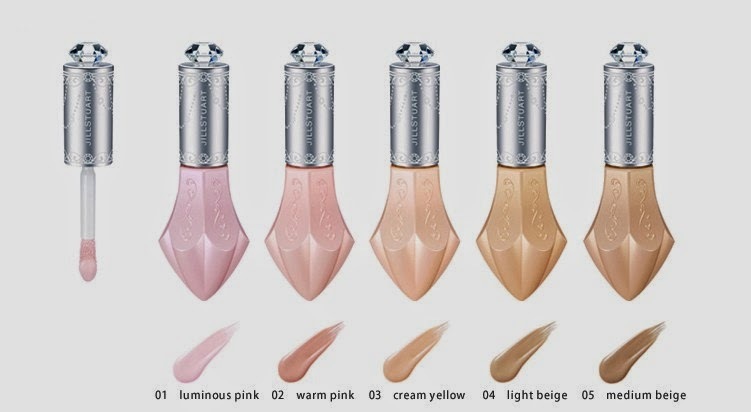 Do you use a highlighter after applying makeup? If someone would've mentioned the word highlighter to me a couple of years ago, I would've immediately thought of highlighter pens I used in school. HaHaHa Highlighters highlight, illuminate and give skin a beautiful glow. I just recently started dabbling with highlighters, so I'm no expert. 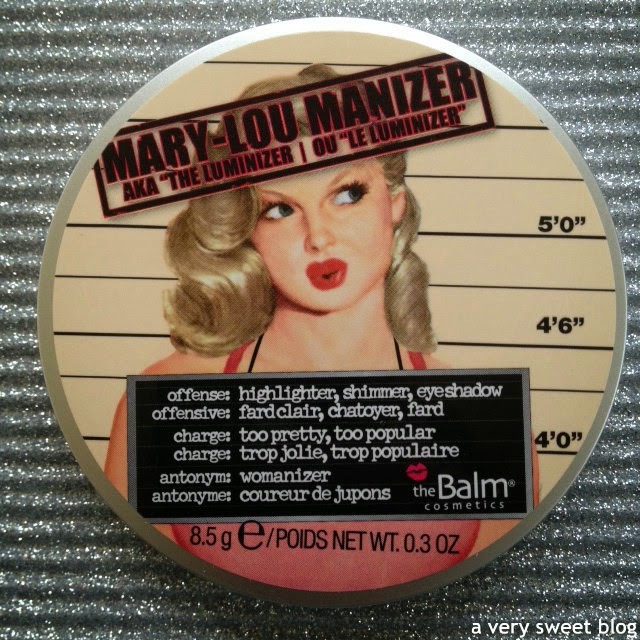 I've tried Etude House & MAC in the past, but when I came across The Balm's Mary-Lou Manizer ($24) on a beauty blog I was immediately smitten with it. It seemed "richer" and more "polished" than the others I've tried. 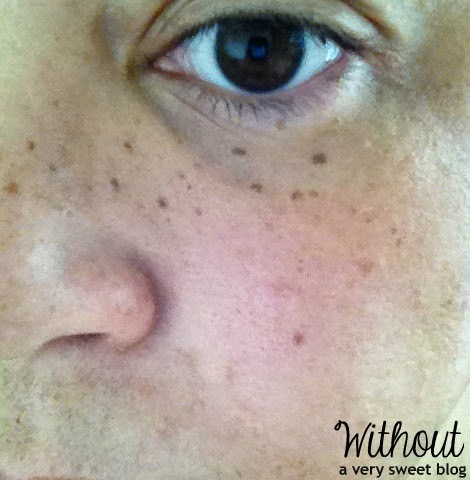 My skin has made vast improvements over the years, by using better skincare products. My "without" picture looks really good, but this champagne gold highlighter gives my skin a really nice glow over my makeup. I love the results and would highly recommend it. I also love the packaging. It comes in a round mirrored compact. 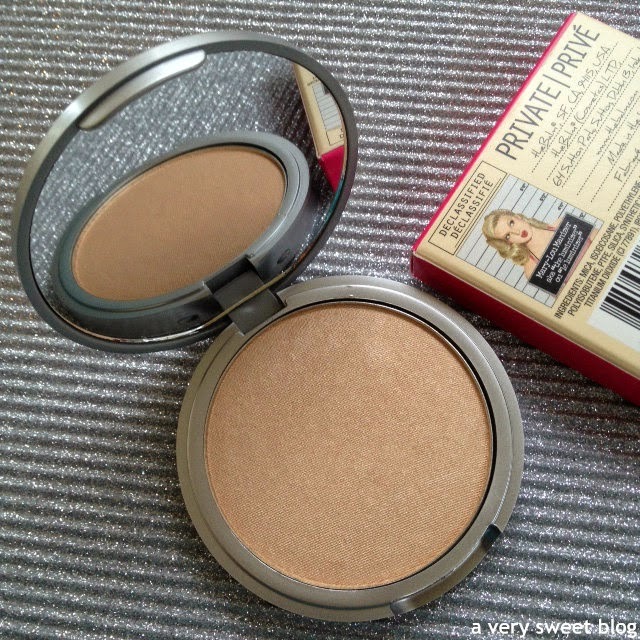 The compact is very lightweight (think plastic, but it doesn't look cheap). How about a little wonderland to start your week? I love this May 2014 Elle Hong Kong "Floral Wonderland" fashion editorial, featuring Ling Yue. She's wearing so many gorgeous designs and what about that floral-sleeve statement jacket!?! Gasp! If you could surround yourself with anything for a photo shoot, what would it be? Just sit me in a chair and surround me with lots of frosted cupcakes & elaborately decorated cakes. HaHaHa THAT shouldn't surprise you ;) Have a beautiful week you guys! Hey Everybody! Happy Friday! 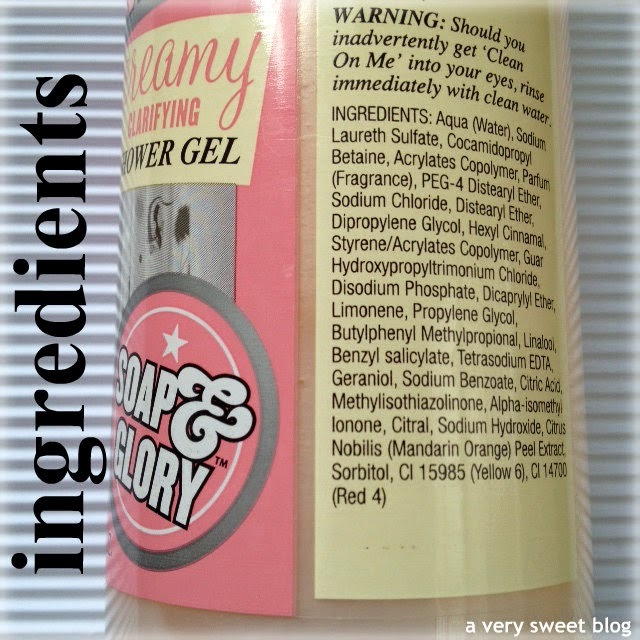 Last Friday in my Soap & Glory Series, I talked about the girly-girl scented Clean On Me Shower Gel. Well the body butter (lotion) that matches it (they have the same scent) is called The Righteous Butter ($22 USD / $22 RRP) . 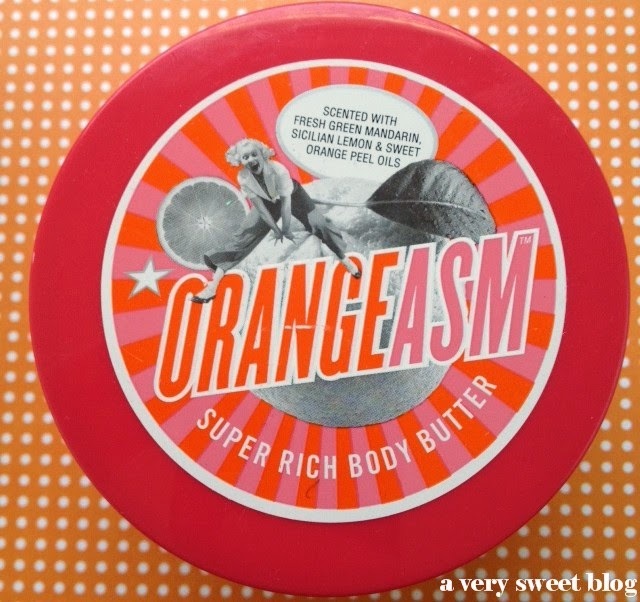 If you like that scent (described as fresh bergamot, mandarin, rose, jasmine, peach, strawberry, oakmoss, and amber with woody and warm vanilla notes), then you'll love this body butter. 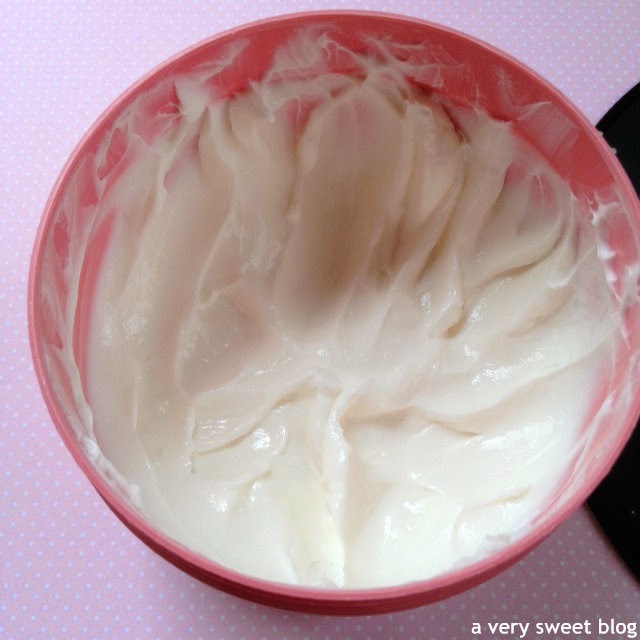 This body butter is white and resembles whip cream! It's very creamy and moisturizing! I would say it has a medium weight to it. It's not too heavy or light, so it's perfect year round. It absorbs into the skin. It's not oily or greasy. Just as I mentioned last week, I would test this scent out in the store before purchasing. On another note (a musical one), it's amazing how many people have covered The Righteous Brother's song "You Lost That Loving Feeling". I remember Tom Cruise singing it in Top Gun. Elvis Presley sang it. Daryl Hall & John Oates also had their own version. It's a cool song. 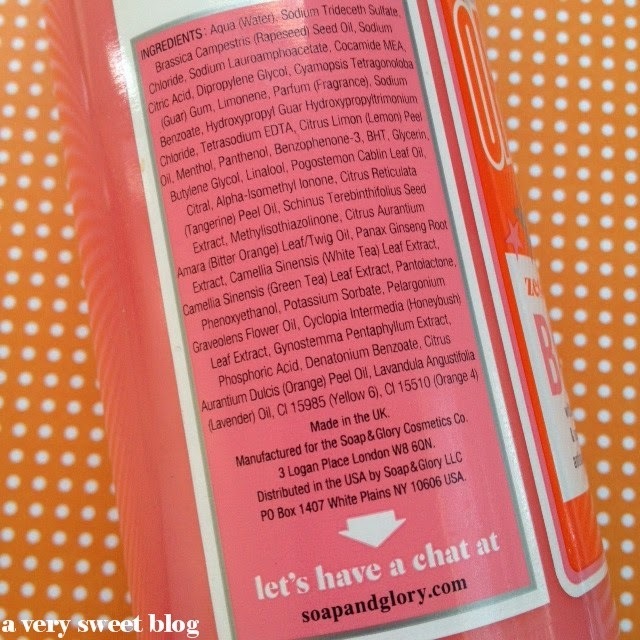 I love how Soap & Glory uses movies and songs for their products. 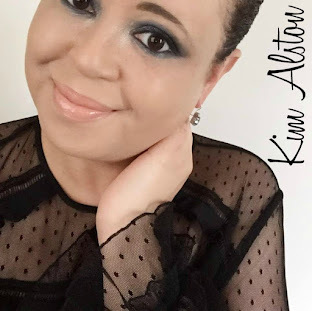 I also want to thank Kizzy from The Dainty Dolls House! The Righteous Butter was one of the Soap & Glory Products she sent me. Very much appreciated! Have a Great Weekend Everybody! It's a holiday weekend here in the States (Monday is Memorial Day!). 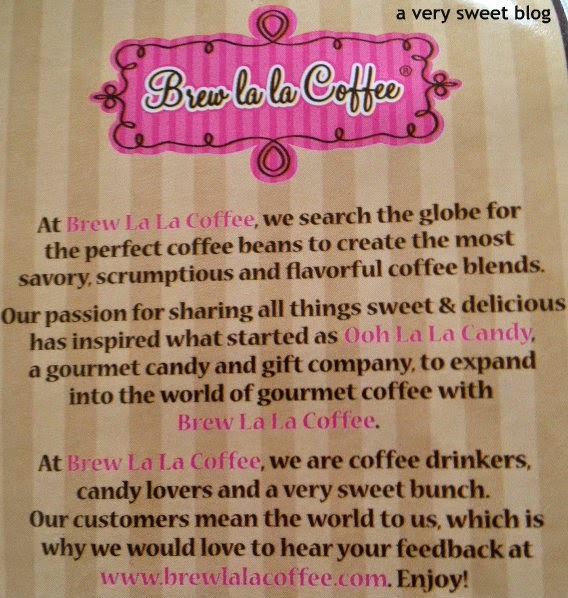 Calling all coffee lovers! 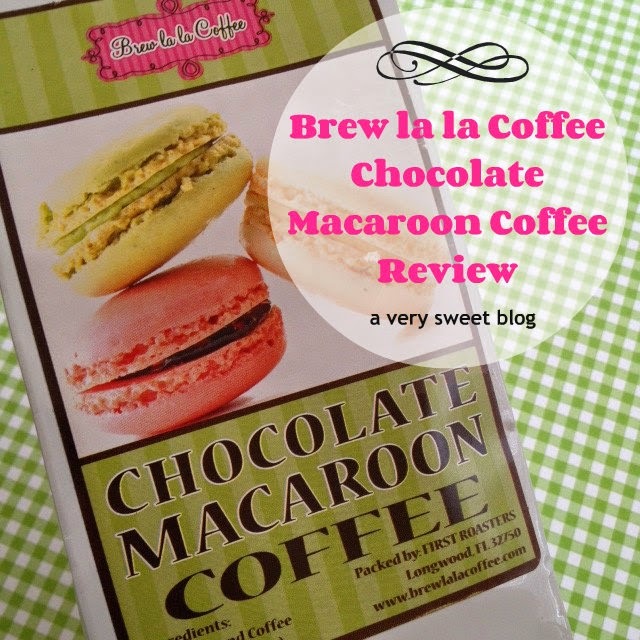 I reviewed Ooh La La Brand's Brew La La Chocolate Macaroon Coffee ($7.95)! I like it! This review is short because, it's everything it says it is. This coffee will taste good year round. When you open the bag, you can smell the chocolate! It's a sweet smell. It's always a good sign, when the grounds of coffee smell good. HaHaHa It has a chocolate aroma and taste. 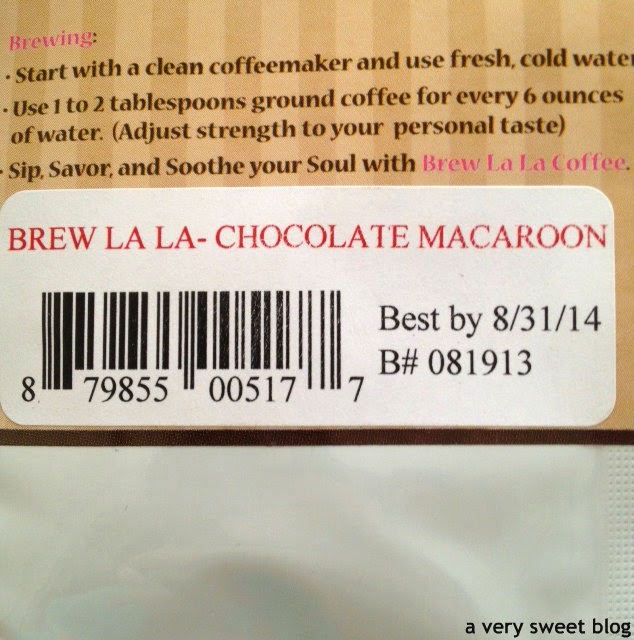 I think both milk and dark chocolate lovers would love this coffee. 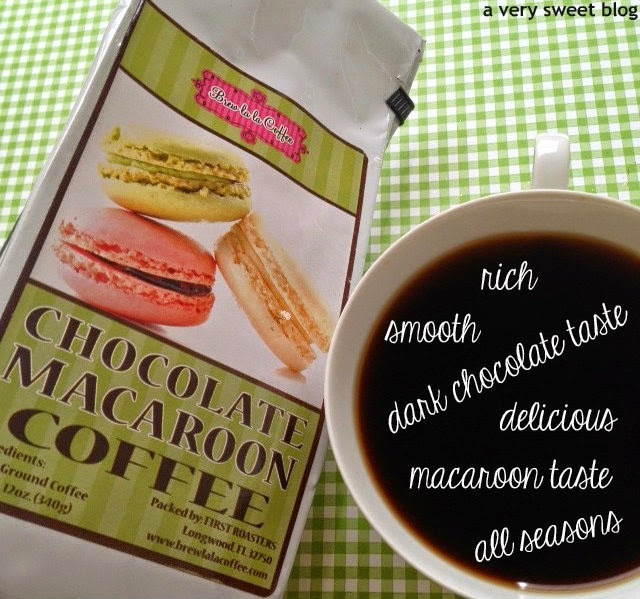 You can also taste macaron (sweet). This coffee is dark and rich. There's nothing weak about it. I purchased this in November of last year and it still has oomph to it. Notice the expiration date below. The packaging keeps the grounds dry and fresh. The top can be folded down and closed. It does not seal. 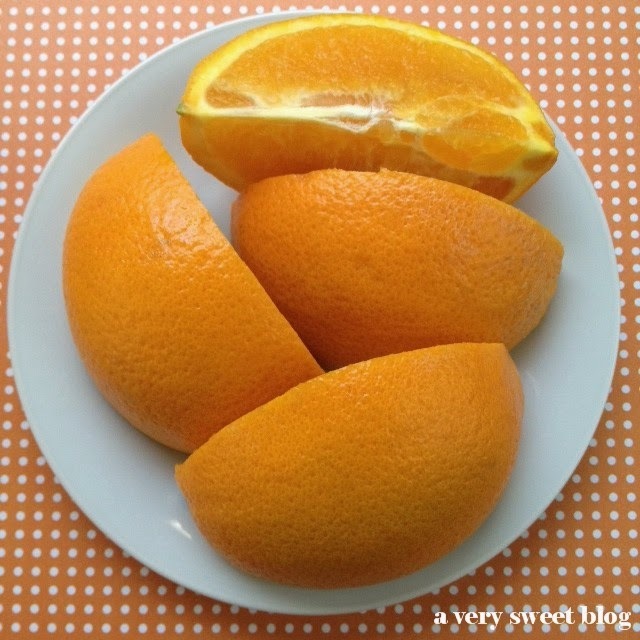 To keep it extra fresh, place the bag in a canister or ziploc bag. It's a delicious coffee! 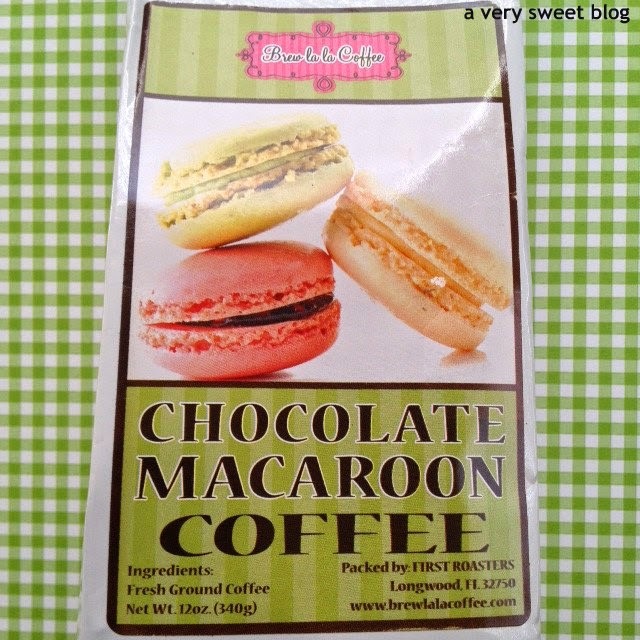 Here are my other reviews: Organic Strawberry Chocolate Tea, Pumpkin Pie Coffee, and S'mores Hot Chocolate. "A funtastical wonderland of enchantment and delight!" Don't you like the sound of that? That's how MAC Cosmetics described their MAC Playland Cosmetic Collection (released several weeks ago). 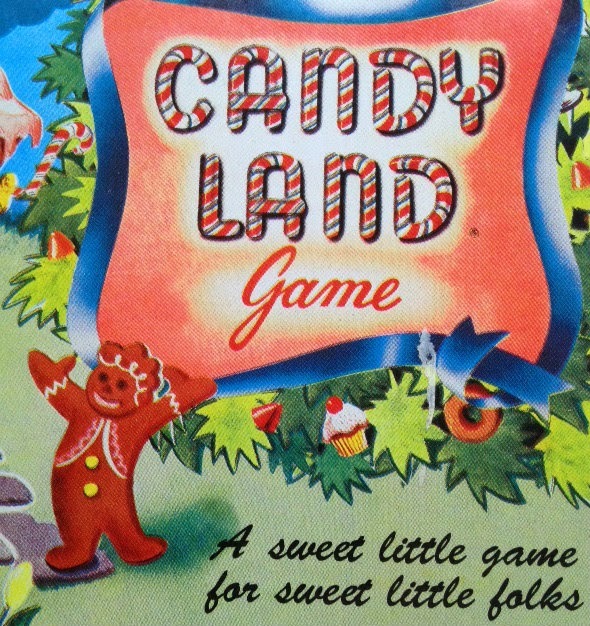 This collection reminded me of the childhood game Candy Land, because it boasts A LOT OF COLOR! There are yellows, blues, oranges, greens, pinks and every color in-between. 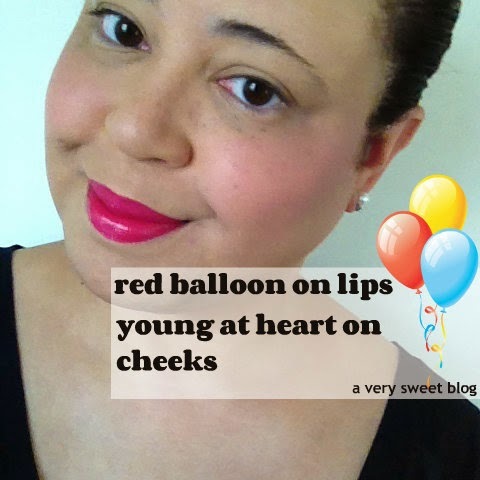 I purchased two items from the collection: Red Balloon lipstick and Young At Heart (casual colour) lip & cheek color. For some reason, I'm on a PINK makeup color-kick this year. HaHaHa No two shades of pink are the same! LOL This collection is pretty much sold out on MAC's website, but it's still available on Nordstrom's website. Here are my thoughts. 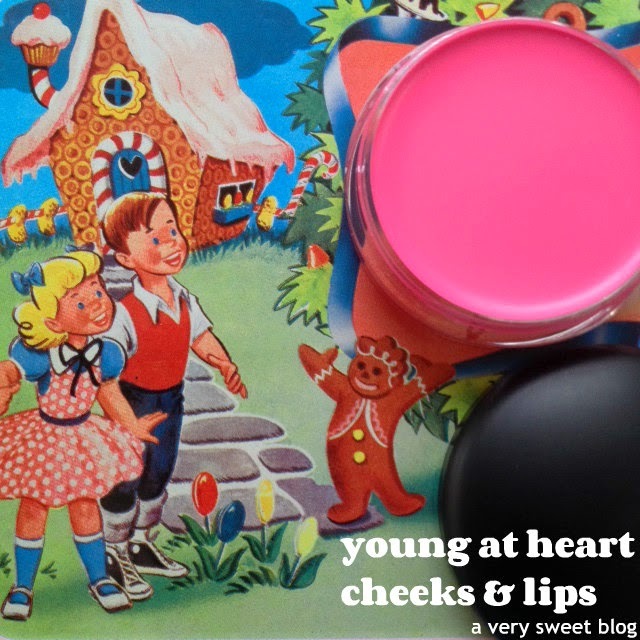 This true cotton candy floss pink can be used on your cheeks and lips! It didn't look good on MY lips (think powdered donuts hahaha), but I did like it on my cheeks. It's highly pigmented, so a little goes a long way. Dab & blend! Dab & blend! 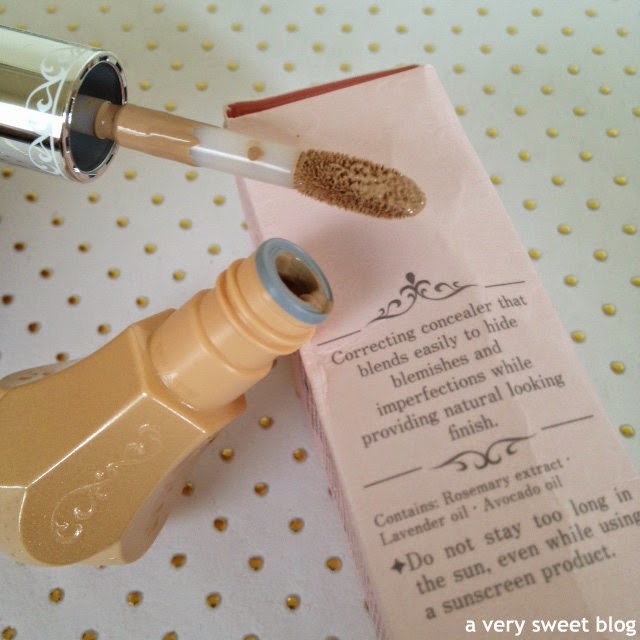 The color is buildable and it's very creamy. I swatched both the lipstick and the casual colour on my hand below, so you could see the difference in the two colors. I seriously didn't know how these two colors would look together (on my face) when I purchased them. As you can see, they did complement one another. I'm very pleased and will be using these a lot this Summer. 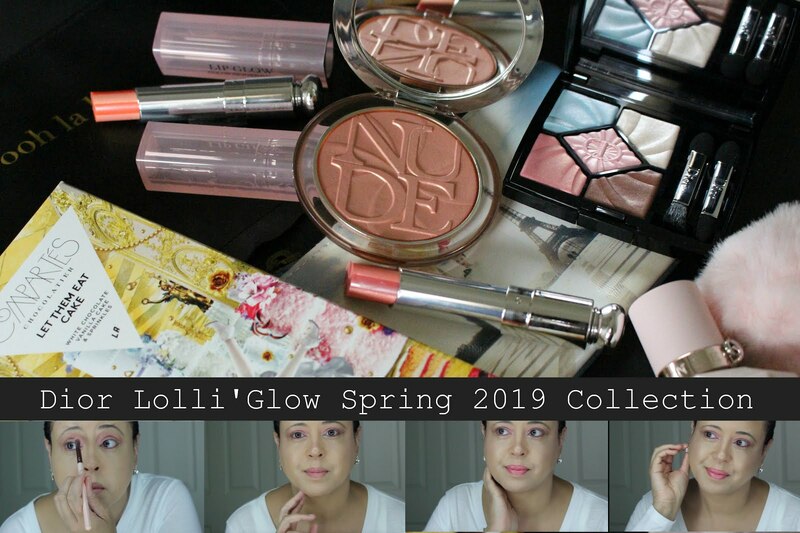 At first, I wasn't going to buy anything from this collection ( I wasn't sure if the colors would be too clownish or too BOLD on me), but I'm glad I did. It worked (so that's why I thought I would do this review for you). 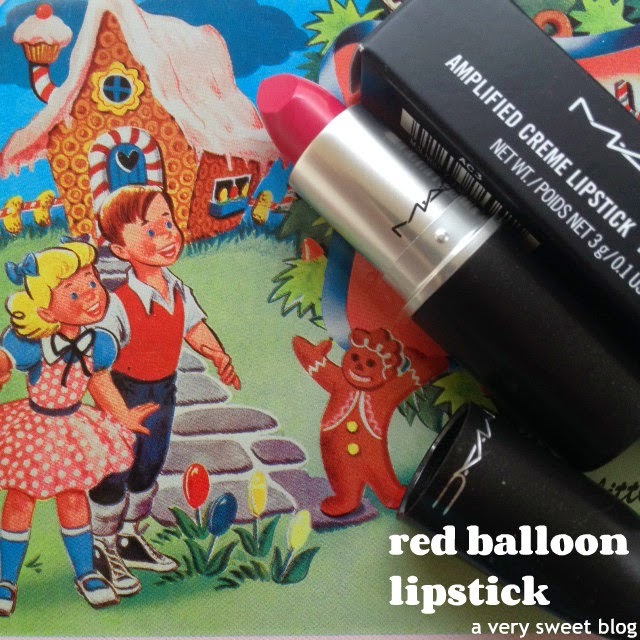 I didn't buy anything from the MAC Maleficent Collection, but if you love RED definitely check it out. Have A Sweet Week Everybody! 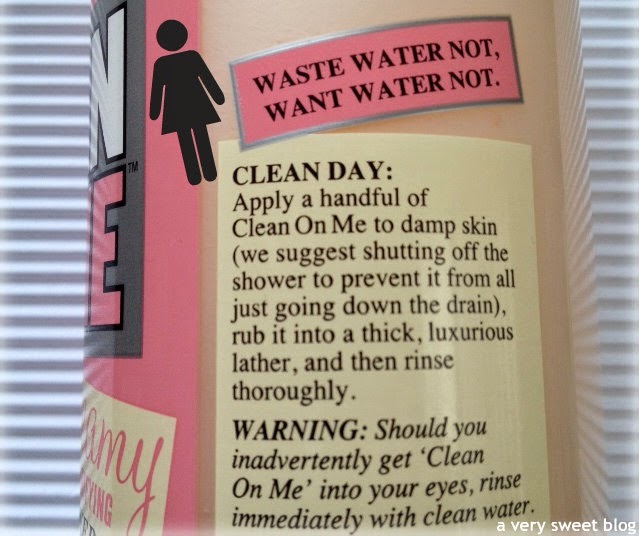 Next in my Soap & Glory Series, is Clean On Me Shower Gel ($16 USD / RRP $16)! This has to be...THE MOST... girl-iest shower gel... I've ever used. HaHaHa How can I describe it? Think fluffy, pink powder-puffs with lightly dusted powder. Think Barbie. Think Pink (well the formula is actually a white-ivory color. HaHaHa). Think light floral scents. Think Cher in the movie Clueless, with her pink fuzzy frou-frou pen. This is positively, unmistakably Girly-Girl! I think of three things when I use this...powder, flowers and sugar. HaHaHa If you like those three things, then this is for you. If not, wait two weeks and I'll have another Soap & Glory product just for you (Think Whipped Cream). This scent had to grow on me (I ordered it online). I liked it, but I didn't LOVE IT. It wasn't love at first shower gel, like my beloved Sugar Crush. HaHaHa I'm liking it more now (I love how the scent smells (so soft) after I shower, more than when I'm showering), but I would still buy Sugar Crush over this one (just my personal taste). What I DO LOVE about this shower gel, is how well it lathers (the lather is very rich) and how it rinses clean! 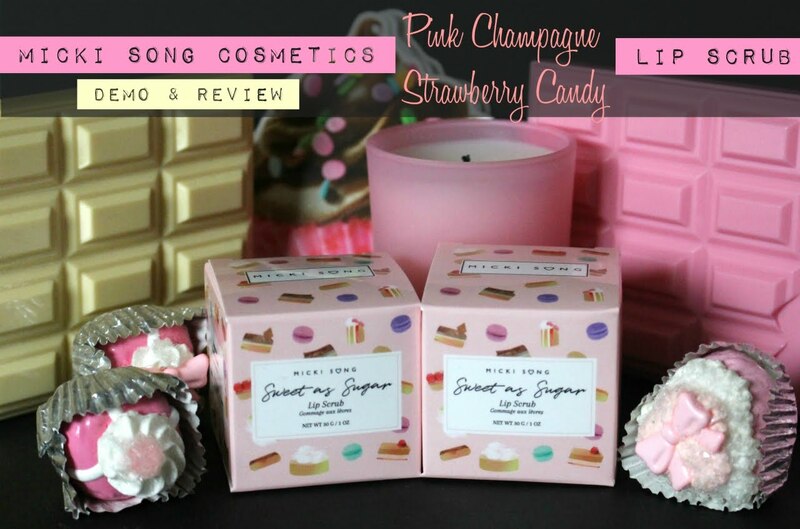 If I were you, I would test this scent out at the store, to see if you like it (before purchasing)! 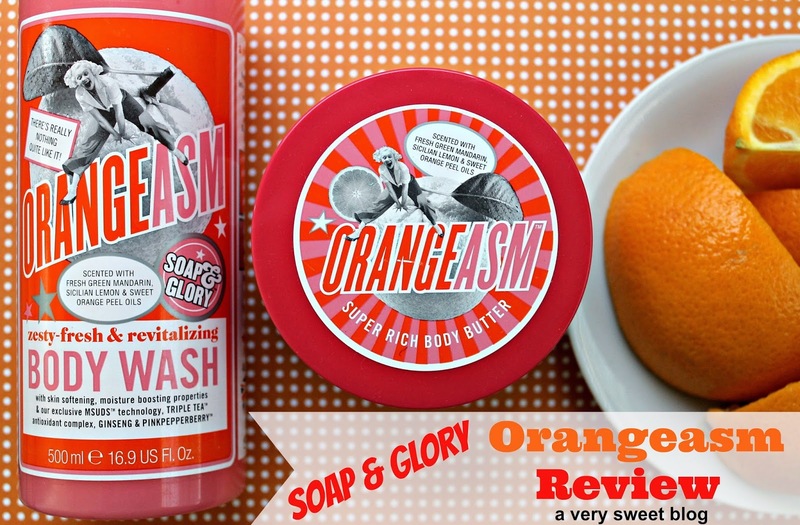 This product has been out for a super long time, so MANY have already used it (and from what I've read, love it... however, some can't get with the scent... so that's why I mentioned it). The bottle states, it has a built in body lotion, but I think you'll still need a body lotion afterwards (at least I did, and I have very dry skin). It's available via Sephora (US), eBay and SoapandGlory.com. I was a little perplexed when giving this a grade. It doesn't deserve a Bittersweet rating. It's better than ok. I will say, it's on the low end of my Sweet scale. I'll let my readers express their feelings in the comments section. I always love hearing what you guys think. Next week, I'll showcase the body lotion that pairs perfectly with this scent. Have A Great Weekend Everybody! (05) Medium Beige - for those who want healthy skin, to cover acne and blotches...can also be used as nose shadow and along the face line. I purchased (05) Medium Beige on eBay from a Hong Kong seller (here and here). 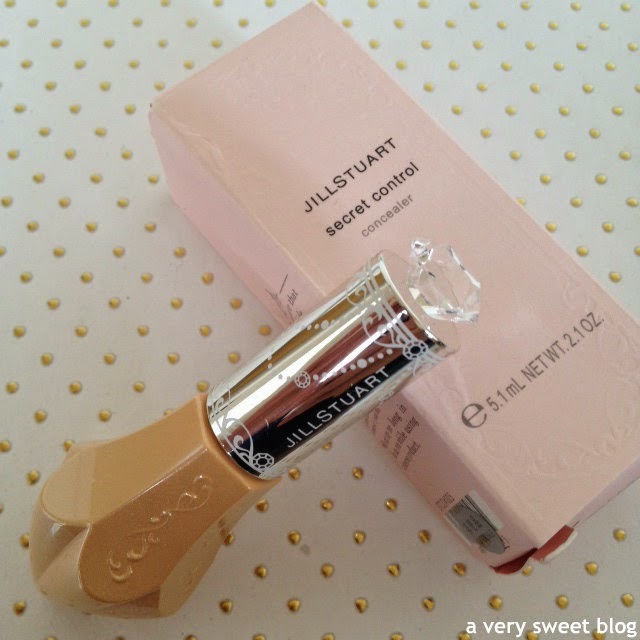 You can view other vendors in my previous Jill Stuart review. 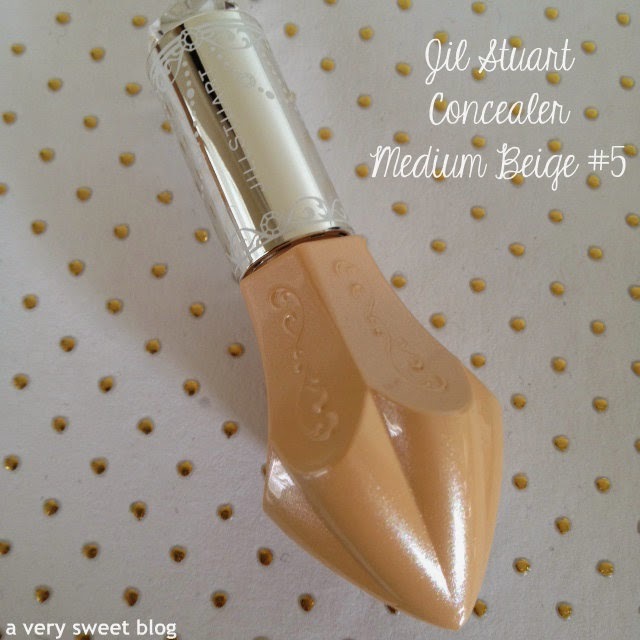 Here are my thoughts: The Medium Beige #05 Correcting Concealer illuminated my skin and blurred small imperfections. 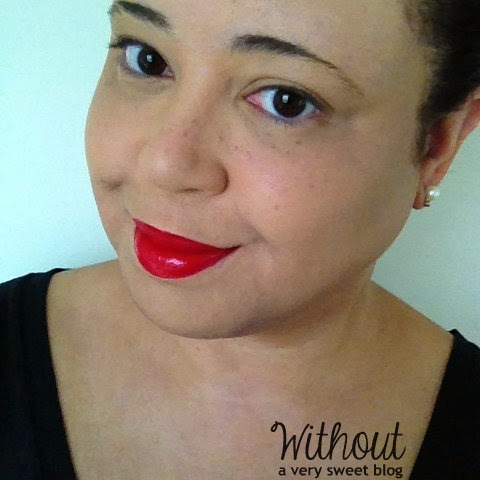 I also noticed it toned down the redness in my skin. 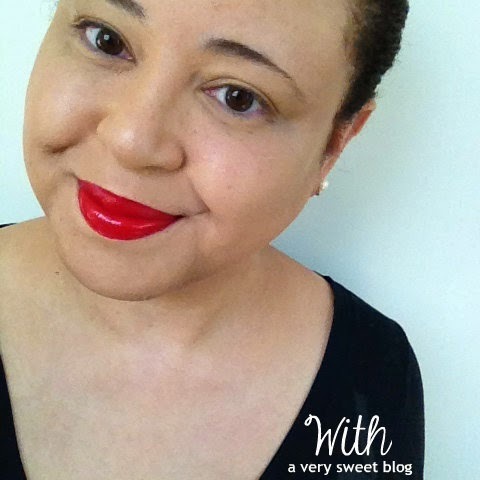 Overall, I felt it made my complexion look more even and smooth. It also gave it a nice glow. 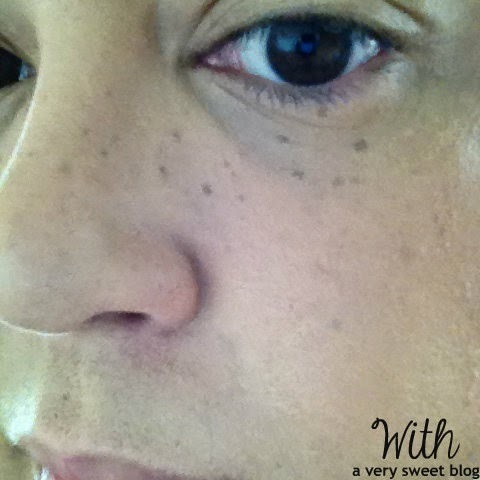 It does not hide freckles, dark spots or under eye circles (<--I guess I would have to buy #03 for that! HaHaHa). I won't stop using my Benefit Boi-ing Concealer (it helps with my dark under eye circles and sun spots), but I will definitely use this in conjunction with it. I was really surprised at how much product you get. The package (chandelier crystal) is small, but you get an ample amount of product. You only need 1-2 dabs per cheek. This is safe to use all over your face (as I did below). You don't have to dab it on just one area (like your normal concealer). It's light coverage, but effective. 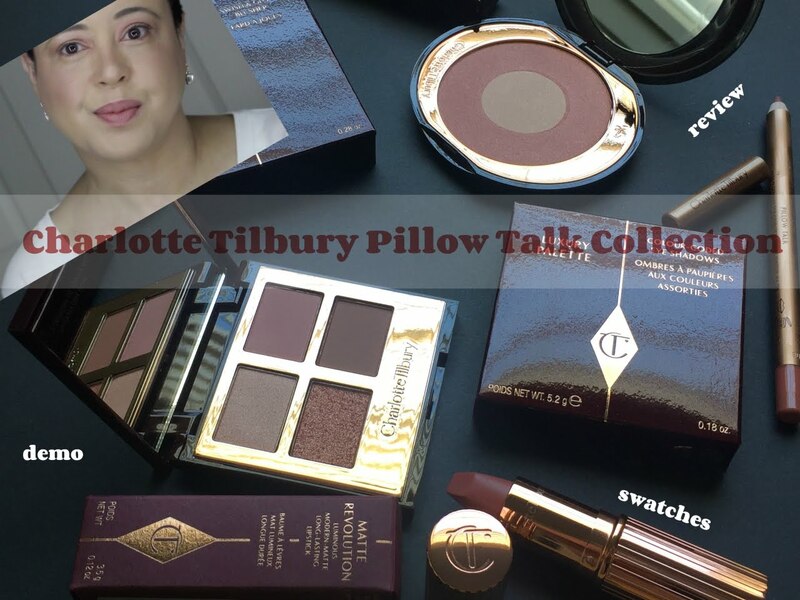 As my friend and fellow blogger Jo of White Roses and Coffee said in my previous Jill Stuart post (comments section), Jill Stuart's products are not cheap (she's purchased them before). That's why I wanted to test them, and share my thoughts with you. This concealer alone, can cost you from $29 on eBay to $37 elsewhere. This is a nice little LUXURY, but I don't know about buying it again & again for everyday use. I see some results, but nothing that has me swinging from chandeliers. HaHaHa I still give it a sweet rating, because it does what it says and it's really cute.